Need legal help with a ComCare Worker’s Comp Claim? If you have suffered in a work accident and you have a work compensation claim as a Federal employee, Comcare is the name of the Federal employees workers compensation scheme. 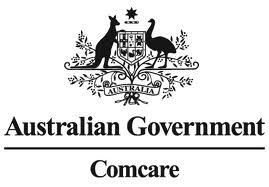 Comcare is another version of standard Workers Comp but for Federal employees such as Australia Post employees and so forth. Also ADF (defence force) has a similar scheme to ComCare as do seafarers. If a Workers Compensation scheme such as Comcare receives a claim, like workers comp there are lump sums available if permanent injury over threshold and also potential common law. Some Personal Injury solicitors will assist with Comcare claims as long as they work within the legislation as it is completely different from State Work Compensation legislation. Personal injury solicitors who deal with Comcare need to have specialised in this area of law. A Work Compensation injury helpline can assist the public in finding such a suitable specialist. The aim of the Comcare scheme is to work together with employers and workers to prevent workplace injuries and diseases. Comcare uses regulatory sanctions if the employer fails to show a duty of care. Comcare gives employers a duty to provide injured workers with suitable employment and in providing injured workers with a statutory package of worker compensation economic and non-economic benefits, such as income support, medical assistance, household services, permanent impairment benefits, aids and certain alterations that may be necessary. A personal injury solicitor or accident injury attorney may be able to help you prepare, and negotiate a claim with Comcare and help you obtain the compensation you deserve. An injury helpline can connect you with a specialist lawyer who will assist with Comcare claims. You have nothing to lose by making a call and getting an expert opinion. Your claim might still have a fighting chance and it’s certainly worth investigating your options further if you are a federal employee and your claim has been rejected or refused. Getting the compensation for a workplace injury can be a difficult task when there are people standing in the way and trying to stop you from claiming. If this is the case take all the help that is available to you. An injury helpline is a good place to begin. You will find out where you stand and what your options are. Do bear in mind that there are strict time limits for Comcare claims and any other type of injury compensation claim. Getting advice sooner rather than later by contacting a Work Compensation injury helpline.